LeBron James attacks Trump over "divisive tactics"
In the United States, the row over ‘taking a knee’ during the national anthem has taken another twist. 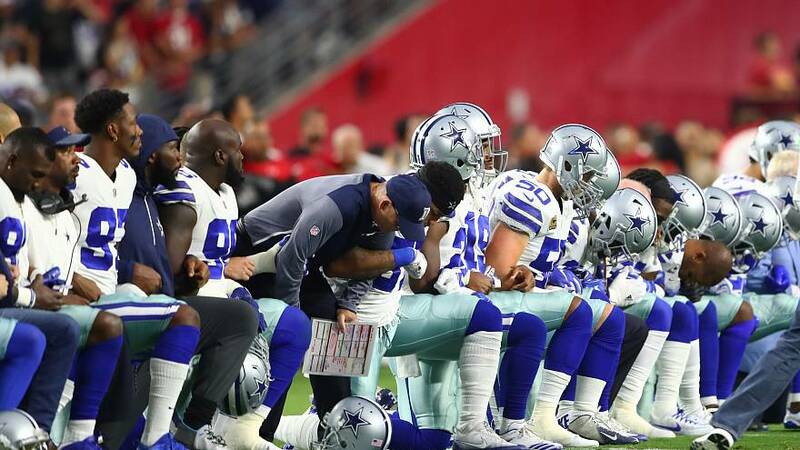 The Dallas Cowboys and their owner Jerry Jones decided to demonstrate by staging a pre-game “moment of unity” ahead of the star spangled banner. The protest, originally to highlight racial inequality, caused a storm after Donald Trump called for players who take part to be sacked or suspended. NBA basketball star LeBron James has also waded into the debate by praising the NFL players who protested against Donald Trump. He’s accused the US president of “using sports to try and divide” people. “He doesn’t understand the power that he has for being the leader of this beautiful country. He doesn’t understand how many kids, no matter their race, look up, look up to the president of the United States for guidance, for leadership, for words of encouragement. He doesn’t understand that,” said James. Trump has also withdrawn a White House invitation to the Golden State Warriors to mark their NBA title after Steph Curry said he did not want to attend.